2. 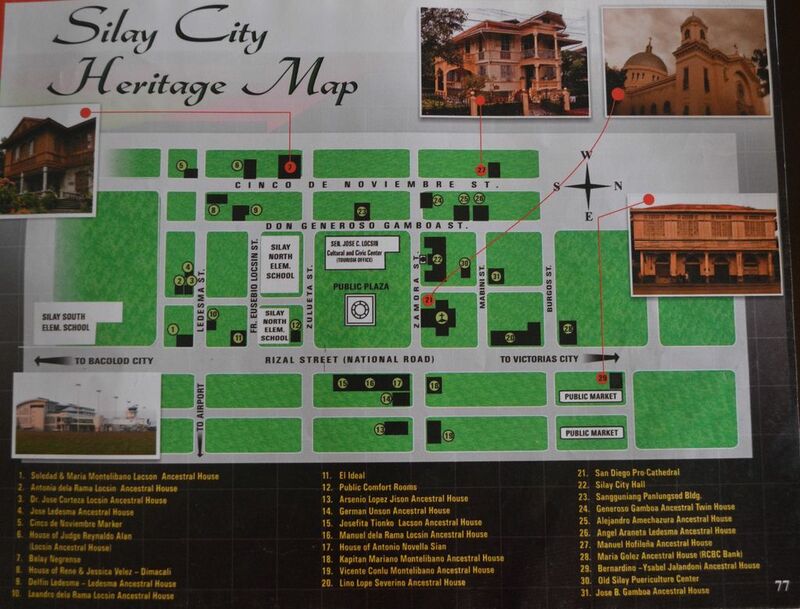 Choose the route going to Silay in the Ticket Booth and pay 15.00 Php/ head for non-aircon bus. 3. Ride the bus enroute to Silay. 4. Alight at the town. The Italian architectural-styled Cathedral is just to the right of the public plaza as you alight from the bus. The exterior of the Cathedral looks like you are in Vatican because of the Italian feature of the dome. No fee is required to enter as this is a Catholic church. San Diego Pro Cathedral is located in Zamora Street, Silay City which is near Bacolod City in Negros Occidental, Philippines. inside San Diego Pro Cathedral is located in Zamora Street, Silay City which is near Bacolod City in Negros Occidental, Philippines. Touring around this ancestral home is never a bore as you will discover a lot from the history of the family and Silay to his magnificent art collection. The real owner, Mr. Ramon Hofileña, will tour you around his lovely home. I was happy that he, Mr. Ramon - the Silay hero, welcomed us again on my 2nd time visit. Entrance fee: 60 Php/head (regular). For students, show a valid ID and you will get a discount. Operation hours: Tuesdays-Sundays, 10 am to 5pm. Hofileña Museum is located along Cinco de Noviembre St. in Silay City near Bacolod City, Negros Occidental, Philippines. Opens every Tuesdays-Sundays 10am-5pm. Bernardino-Ysabel Jalandoni Ancestral House or 'The Pink House' is just located few steps on your right as you took off the bus coming from Libertad. The house features the lifestyle of the family and the equipment and furniture that are obsolete these days. A cafe located in Ledesma St. if you wanna take a sip after strolling around the small city. We tried the next door's cafe as there were a lot of customers in a small chill-out space. But a local said that this one serves great quality of beverages and foods. The Mansion is open to public to serve you- yes, you as their masters - drinks and snacks and to promote arts. Relax to the ambiance that brings you comfort of an ancient European-designed interiors. Best for selfie with yourself and friends. 6. and so many more that some of them I have visited already when I travelled in 2013 such as Balay Negrense, Cinco de Noviembre St. and El Ideal. Check more on my other blog site. The museums are open from 10am-5pm, everyday except Mondays. We went in the Ceres Bus Terminal Libertad at around 3pm. The places that I have mentioned were toured around on foot. In order to see and take a picture of almost all the heritage houses, you can go there in the morning in January - May, when the weather is so fine. I have experienced a damp tour on my 1st visit around the town in June - the start of the rainy season. These are just some of the things that you can do. You can check another activities around Negros Occidental on this link. Don't forget to share this info. If you want to go in Bacolod? 2. Process your renewal of passport in DFA - Bacolod in Robinsons Mall. If you still have time to go to Guimaras Island and explore this place, check these links. 1. 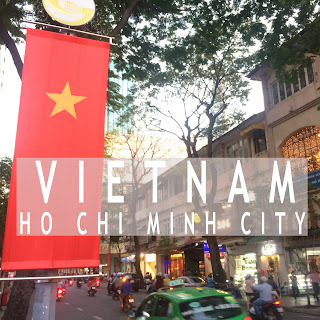 Eat and Drink Authentic Pho and Vietnamese Coffee in a chillax ambience of Ho Chi Minh City in Vietnam. Sarah Jean Buhay enjoys traveling, sharing information about transportation schedules and fares, places to visit and eat and giving her genuine insights for readers. She suddenly moved in Cebu from the suburban of Laguna for almost two years to fully become independent and explore more of herself and her home country, Philippines. She wishes to have bus routes and time schedule information in every terminal and bus stop anywhere in the Philippines. And she hopes the Filipino public transportation drivers would prioritize the time of the passengers. Sarah Jean Buhay enjoys traveling, sharing information about transportation schedules and fares, places to visit and eat and giving her genuine insights for readers. She once moved in Cebu from the suburban of Laguna for almost two years to fully become independent and explore more of herself and her home country, Philippines. When she travels, she tries to stay longer to understand more of the people and the place. She also stayed in South Korea for 2 months, visited Ho Chi Minh, Vietnam for a week and is currently living in Sydney, Australia.